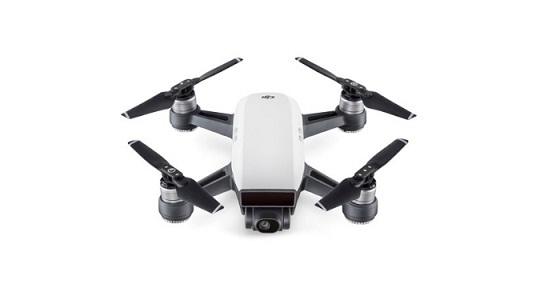 DJI Spark is probably the advanced consumer drone yet with some of the amazing features such as upon takeoff it enters Gesture Mode which has a scanning technology which recognizes faces and hand gestures making you control it without smartphone or transmitter. Using palm you can direct it to fly and then begin to track you. Call the drone to return to home when you raise arms like Y. Automatically land in your hand, With a 2-axis gimbal camera which shoots 12MP photos or 1080p/30 HD video, you can program the Spark to rocket up, fly in a circle around you, or take off on a pre-programmed flight path using waypoints to set your course. Subject Tracking from Various Angles, GPS- & Vision Position-Based Navigation.